The Signing Time Classroom Edition includes 16 units that fit right in with your curriculum. In each unit you get teaching tips, signing tips, activities and songs plus printable flash cards, a certificate, lyric sheets and more. The set includes 8 DVDs plus 2 music CDs. Homeschool Bundle includes 4 DVDs, 1 flash card set and a parent guide to help your children learn colours, numbers and the alphabet. 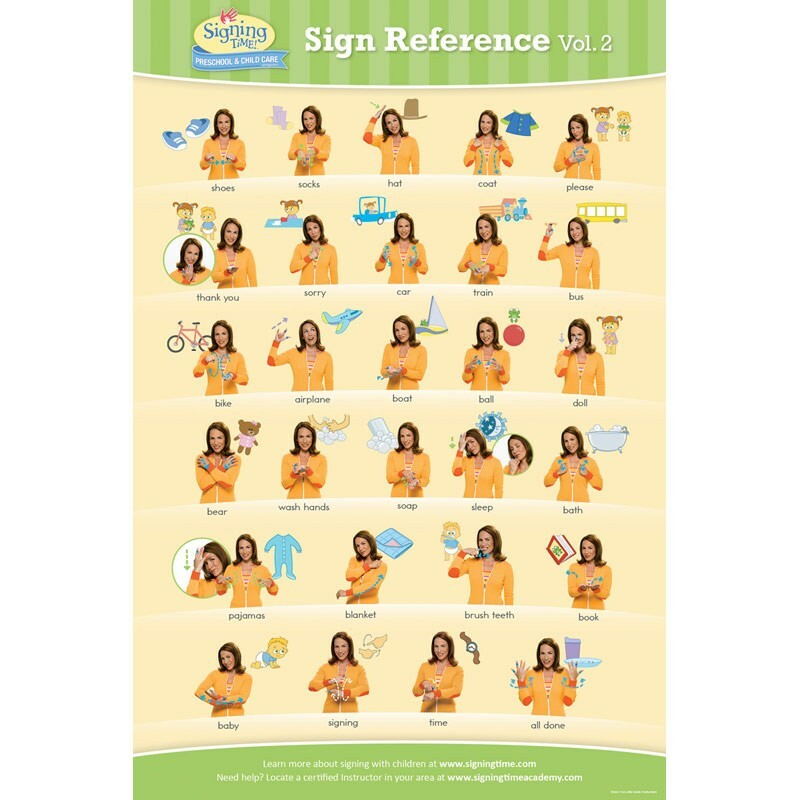 The Sign & Sign DVD teaches the ASL for 13 of the most popular Signing Time songs with additional tips and information about ASL in the Special Features. You can order any Signing Time or Baby Signing Time product through Signing As We Grow. For more information about these teacher favourites or other Signing Time products download the Signing Time Academy Catalog. The Complete Preschool and Child Care Program includes 4 teachers' guides filled with teaching tips, songs and activities that will fit right in with your program, 4 DVDs, 4 music CDs, 4 resource CDs with printable flash cards, parent letters, lyric sheets and more plus 4 sign reference wall posters. Start the school year off with this entertaining, engaging and educational DVD that features 32 signs you can use everyday in your classroom. Early Literacy Jump Start Bundle includes 2 DVDs, 1 set of flash cards and ABCs &123s Wall Posters. The 4 Preschool and Child Care Program (PCCP) wall posters are companions to the 4 volumes of the PCCP or Baby Signing Time series. Buy a set for each room at your centre or one for hall where parents can view them.